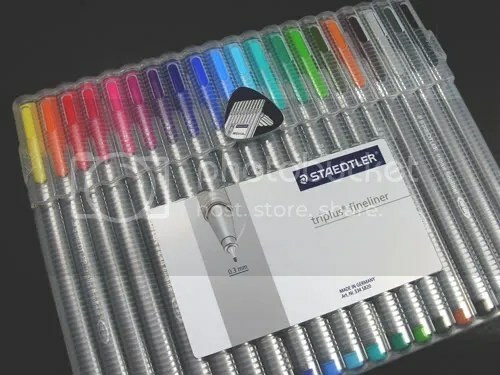 I found Staedtler’s Triplus Fineliners while I was browsing my local big-box office supply store. I was initially attracted by the well-designed packaging and selection of colors, but was intrigued by the claim of effortless writing. I brought the pack home with me for a test run in a Moleskine Sketchbook. After opening the package, I discovered 20 pens, triangular-shaped and very light in weight. The points measures a tiny 0.3 mm, great for fine detail. The silver-gray pens are attractive with a colored cap that snaps on to the back of the pen. According to the packaging, these pens can be left uncapped for hours without drying out. I didn’t get to test this theory, but I can confirm that the pens remained wet after I completed this illustration. The plastic case looks modern, is protective and can be tilted up, giving you easy access to the pens when working. So far, so good. There are 20 Triplus Fineliners packaged in a case that doubles as a pen stand. 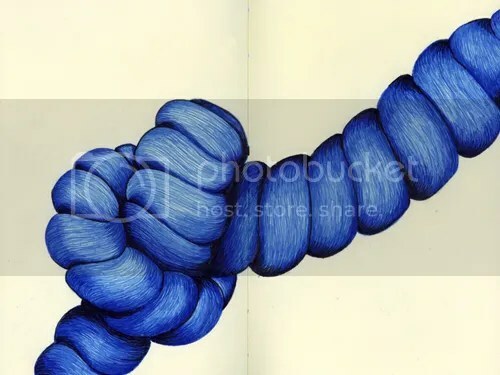 Inspired by the fine point of the pens, I decided to create an image of a rope. Thousands of tiny threads would be a good test for the fine point and would give me an idea of the durability of the tip. Since I tend to illustrate with a heavy hand, I smash tips pretty quickly and am always looking for pens that can handle pressure. The fine point of the Triplus Fineliners were perfect for drawing thousands of lines in this illustration. The points remained firm even after hours of use. 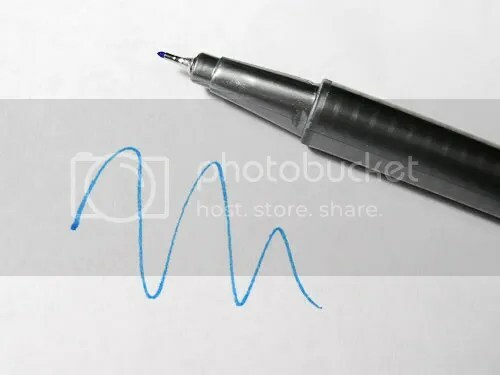 The pens were good performers, producing crisp, bright lines and the tips were firm, but not hard. The ink dried quickly and there was no problem with bleed through in the heavy pages of my Moleskine Sketchbook. I did also test these in my Moleskine planner to see how they would perform with thinner paper. I am pleased to say that the pens did not bleed through, But because of the translucency of the paper, you could see a muted version of the line on the backside of the page which is pretty typical for a Moleskine. Blending was easy and the colors were compatible with each other. I was most impressed with the durability of the tip. 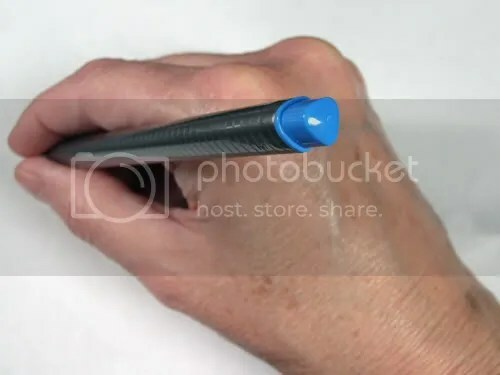 After drawing thousands of lines, none of the tips were crushed and the pens still drew wet lines without drying out. Each point measures 0.3 mm and is perfect for fine line sketching. 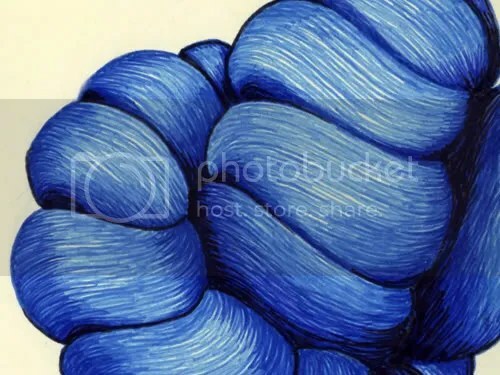 It was quite easy to sketch with these in the beginning, but as time wore on, the corner of the triangular shape started to dig into my finger. It may not be a problem for most of you, but this did bother me. This is a minor complaint when compared with the benefits. The triangluar shape was comfortable for me at first, but after extended use, a corner started to dig into my finger. This may not be a problem for you, but it was for me. No bleed through, even on the thin paper in a Moleskine planner. Line can be seen through backside of thin paper, although there is no bleed through. Overall, I was impressed with this set of pens and would use them for any detailed work I might have in the future. I would not recommend them for large areas of color, however because of the fine point.